What options does a junior person have, when a professor crosses the line? Academia provides a unique environment and set of power dynamics that make it very challenging for junior people to come forward when they are the targets of harassment or other forms of inappropriate behavior. The community is small and tight-knit: Moving forward in an academic career is dependent on reference letters from professors and your name on their research papers. All it takes is for a well-connected professor to make a few phone calls to colleagues at other institutions and you are blacklisted, unable to go anywhere. This is why many junior people are discouraged from coming forward. They are told: It will ruin your career. You don't want to get a reputation for being a troublemaker. Just ignore it, you'll graduate soon. Professors are valuable, students are dispensable: When a professor is bringing in millions of dollars in grants and priceless prestige to the university, it is understandable why the university would want to do whatever it can to maintain a good relationship with that professor. This is why when students complain, departments often try and handle the problem internally instead of going through official channels. They want to both protect the student from possible retaliation, but also try to preserve their valuable relationship with the professor. Department relationships and loyalty: If a student decides they want to come forward, the natural person to first approach is the department chair or ombudsman. These people (who are usually other faculty members in the same department) are most likely long-time colleagues with the harassing professor. These relationships can lead to suspicion of the student and/or protectiveness of the harasser. A lack of objectivity due to personal relationships is another reason why students are discouraged from bringing cases forward. The tenure system: As highlighted in the Geoff Marcy situation, even if a student's complaint is found to be valid, often the university is very limited in what it can do to discipline the faculty member due to the protections of tenure. The above combines to form an almost impossible climate for students to come forward. This is a bigger problem than any individual harasser, department, university, or discipline. This is a systematic issue with academia as a whole. Our current work-around is to form underground networks of people warning each other about our problematic colleagues, but this is obviously an imperfect solution. The lack of a paper-trail or any documented history of bad behavior, means that harassers can go for years unchecked. Also not everyone is privy to whom they should avoid, and those who are less-connected are more likely to not get the memo. What happened here is horrible. I am hoping a lesson we can take away is that our current system is broken. This is not an isolated situation, there are more serial harassers and bullies within Astronomy. What can we do to prevent them from continuing to cause damage to the young people in our field? During my career the majority of my mentors, advisors, and bosses have been male. I have never felt uncomfortable with any of my interactions with these men and never felt like they were treating me any differently because of my gender. The vast majority of people in our field are like my advisors. Let's not let a few bad apples spoil our beautiful community. 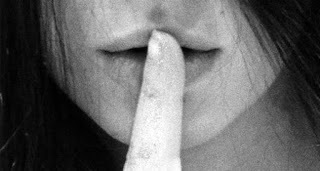 We need to break this culture of silence. We need to make systematic changes to our university's reporting structures and policies so that this doesn't happen again. I encourage everyone to try and learn from what happened here. Start conversations with your departments and university administration about how to make changes to the reporting structure, and harassment policies, such that you do not fall victim to the same pitfalls as Berkeley. On a final note, I am very proud that our community rallied around the brave women who filed the Title IX complaint and those who spoke publicly about the situation. The support we felt this week was amazing. I hope as a community, we continue to remember how challenging it is for junior people to speak out against powerful faculty and universities, and rally around those who are brave enough to come forward.